The HIM Mixer combines the best in speed, accuracy, and dependability in one high performance mixer. The HIM has roots in the food industry, but has been completely re-engineered and adapted for the rigors of the fertilizer industry. Its unique design eliminates “dead zones” inside the mixer, and it’s mixing action ensures that each granules is in motion during the mixing process. It’s bomb-bay style doors provide an instantaneous discharge that prevents re-segregation of material. The HIM is an essential part of Sackett’s proprietary Precision Fertilizer Blending System®. The Sackett HIM Tower operates on this process and is the toughest, fastest and most accurate fertilizer blend system in the industry. 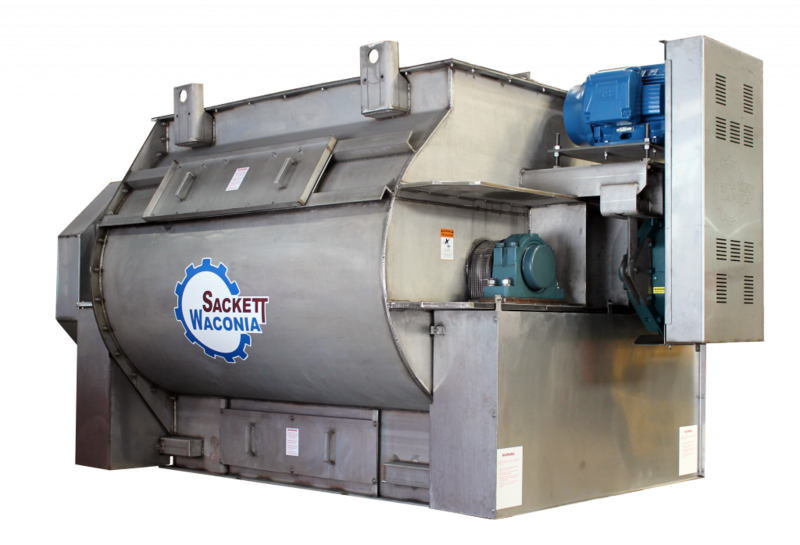 With outstanding blend quality, zero product segregation, and high speed discharge, Sackett towers can load a 25 ton truck in about 8 minutes, and are 100% accurate, 100% of the time. Its the 1st step to Nutrient Use Efficiency. Technology and equipment for the world fertilizer industry. © 2016 - 2019 Sackett-Waconia. All Rights Reserved.